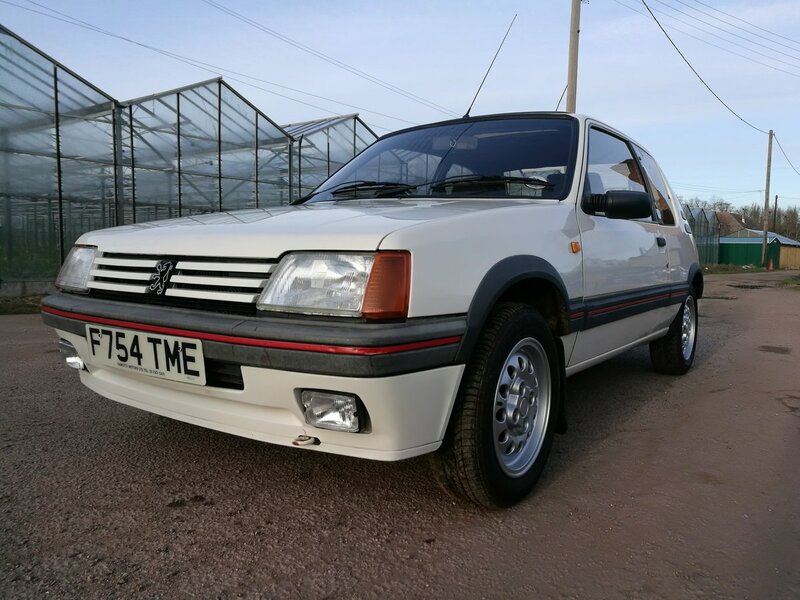 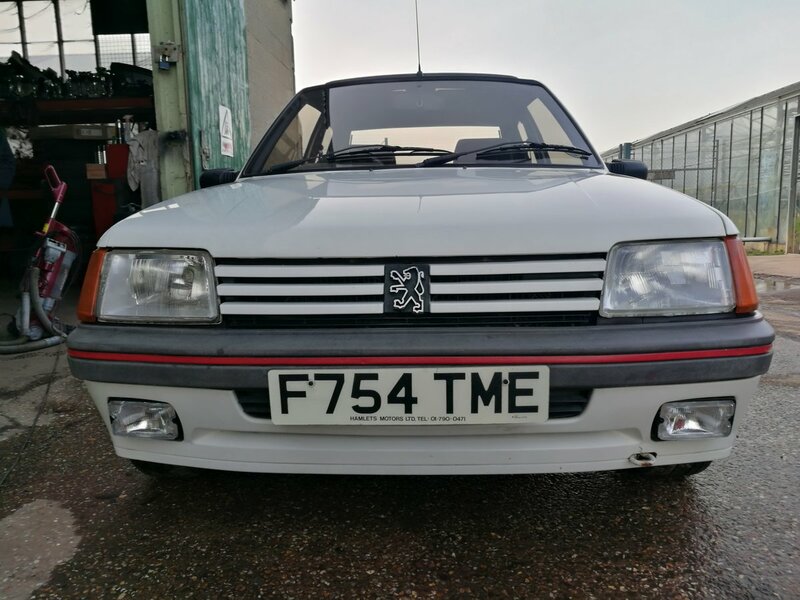 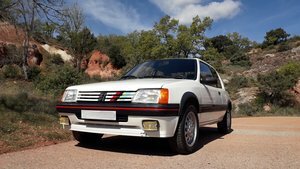 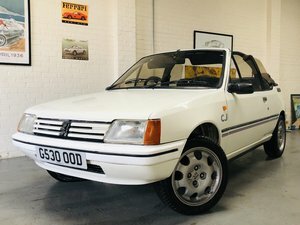 Peugeot 1.6 GTi 1989 F reg, totally original condition. 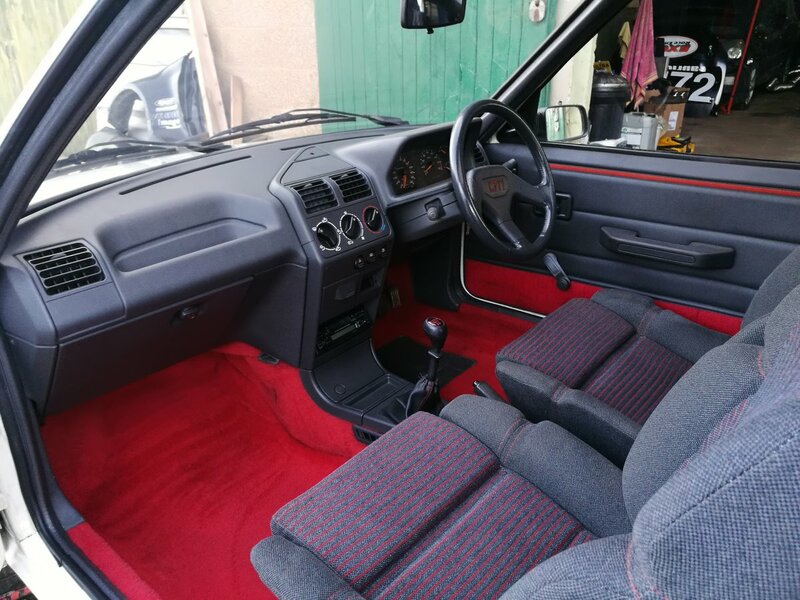 Been dry stored and very light use in the last 12 years, Runs and Drives well, cloth interior is excellent, no rips or tears, bolsters are all good, sunroof in good working order. 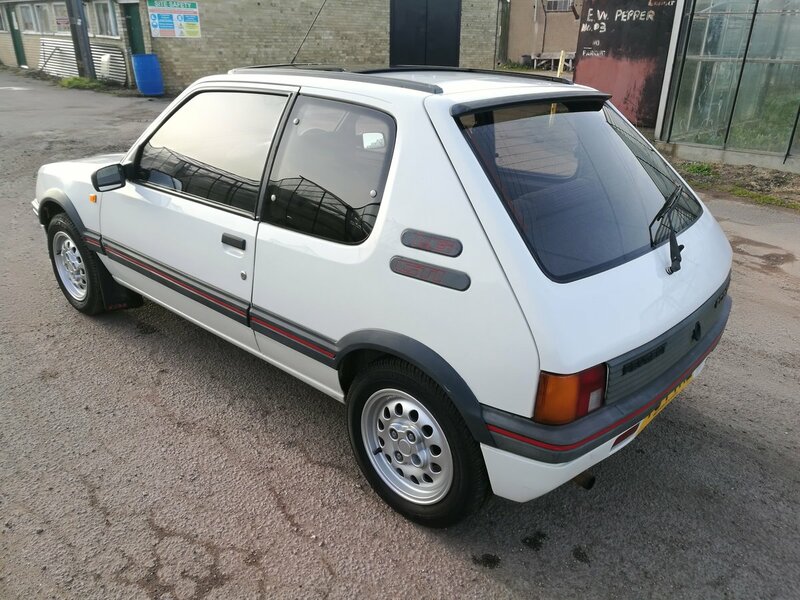 Bodywork is original and has some age related marks for an untouched 30 year old car. 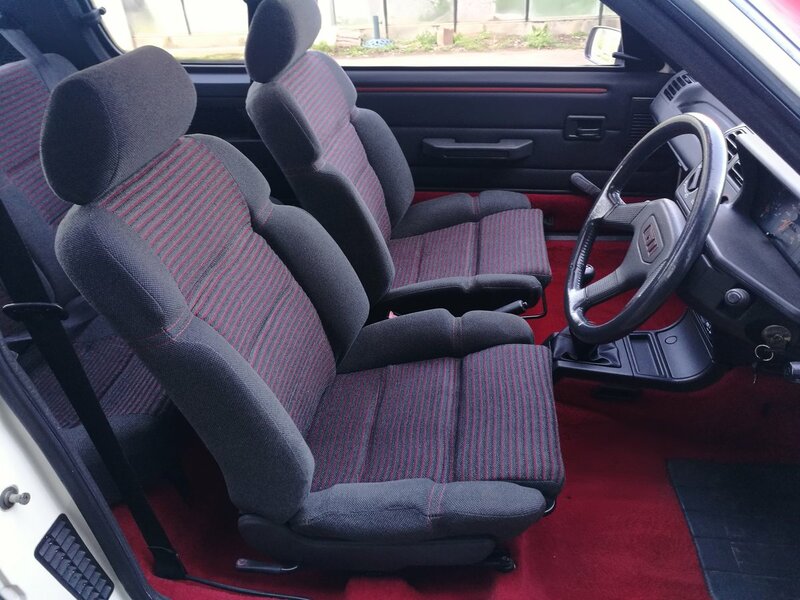 Wheels have been refurbished recently. 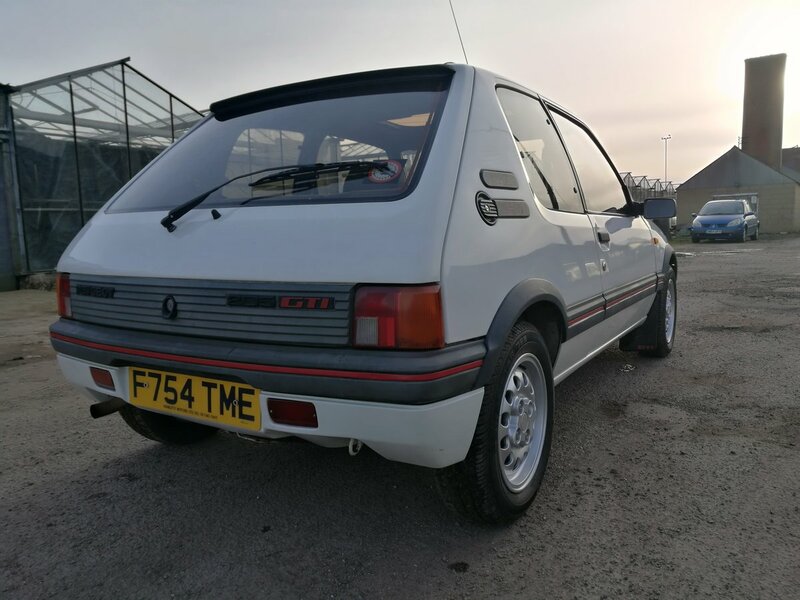 Rare opportunity to purchase an unmolested 1.6 205GTi in unrestored condition. 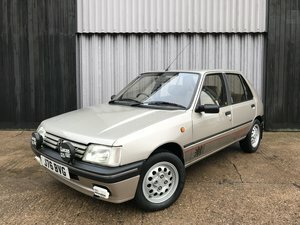 Car will come with a full years MOT.